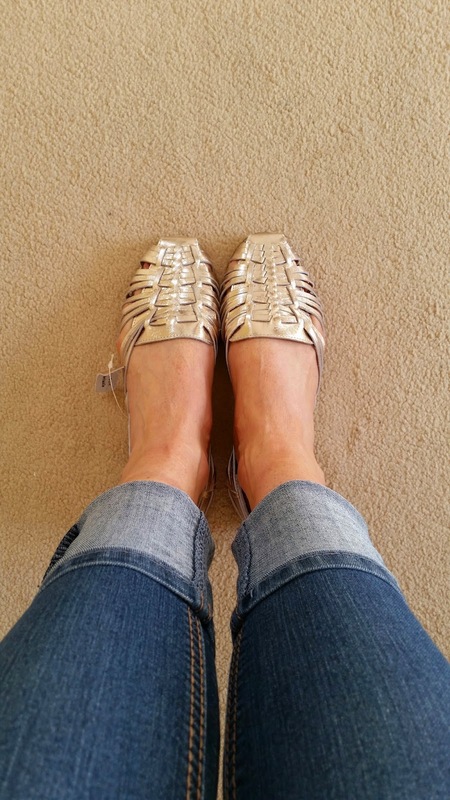 Last week I was perusing the New Look sale and then I read Sue's blog and she was raving about some gold sandals. I adore Sue and when she says something is good I know she means it. So off I went to find the sandals she was talking about. 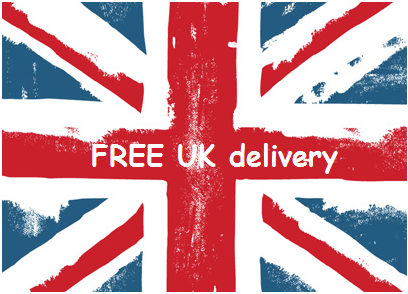 I couldn't order just 1 pair so I ordered 4 - well you would wouldn't' you? They promised to be so good with the lovely colour and price but they didn't live up to that. They were too low on the sides and didn't feel secure on my foot at all. You could also see my feet poking up. GOING BACK. But then I started walking and not only were they really flat and making me then walk like a flat footed person from Flatsville but my foot slipped back and hung over the back and almost sliding out at the front. This is not a good look. 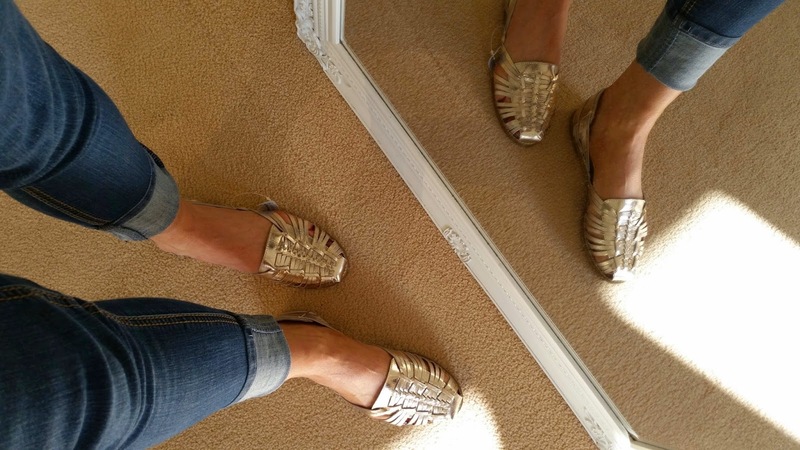 I was doubtful about these real leather gold sandals - £24.99 but I love them! They are soft because they are real leather, they felt amazing on my feet and I could walk in them without looking weird. I'm keeping these for sure. For this price I think I'm going to keep - my only concern is that my foot seems wider than the wide foot sandal - what do you think? DO NOT LOOK AT MY BADLY APPLIED FALSE TAN. Did I make the right choices in keeps? 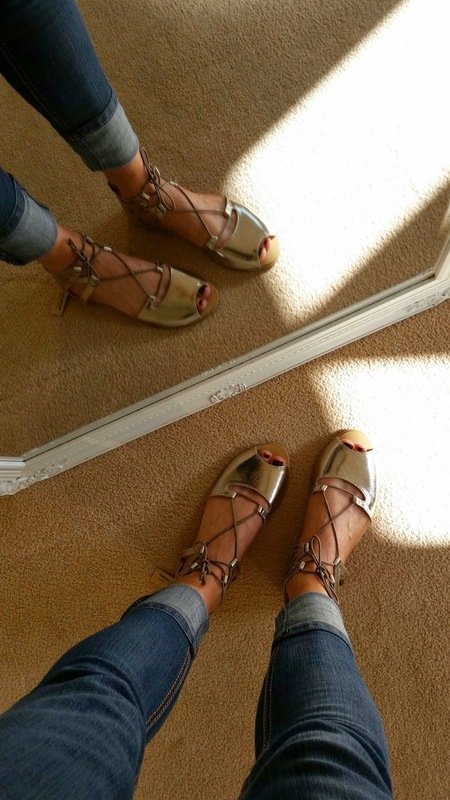 Are you a fan of the gold sandal? The third gold leather ones look good on you though - you just know when it works for you. And I cannot do the thong type sandals at all - fat feet and all. All the pairs are back in the box and going back - they're not right sadly. Love the leather ones (I had an identical white pair when I was about 8!!!) 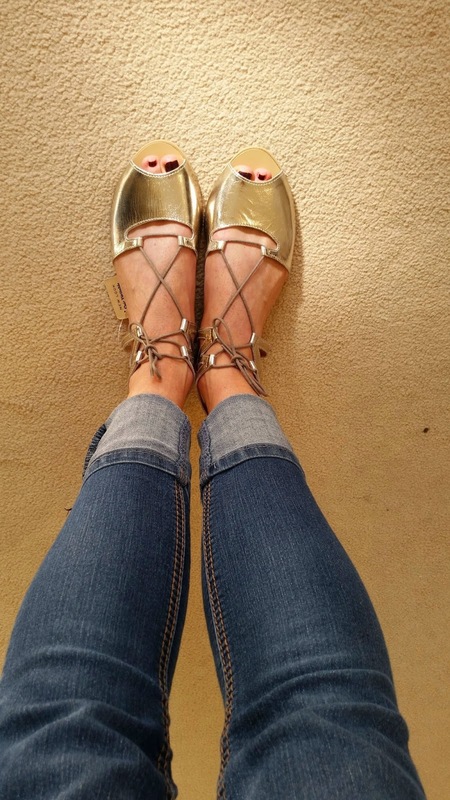 but they'd have to be silver for me to wear them, not fond of gold! I'm not usually a gold person at all but I'm slowly turning towards it - does this mean I'm getting old?! I've packed them all away now and they're going back. I can't be doing with making cheap shoes work - a sticky insole sounds vile! 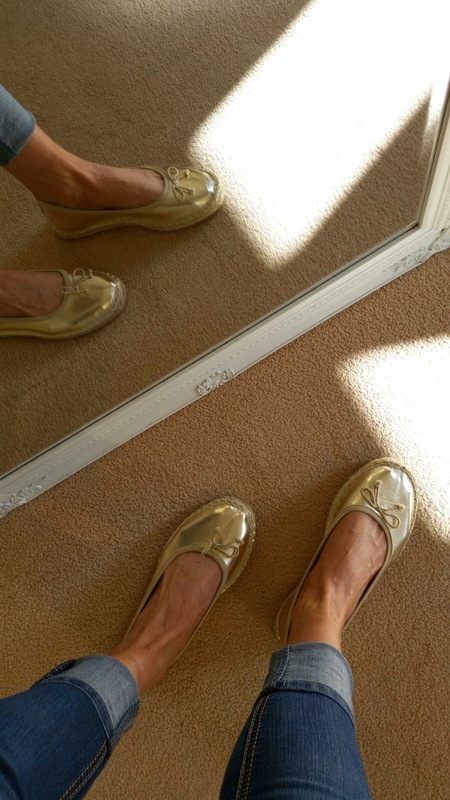 I'm powerless when faced with a gold shoe. 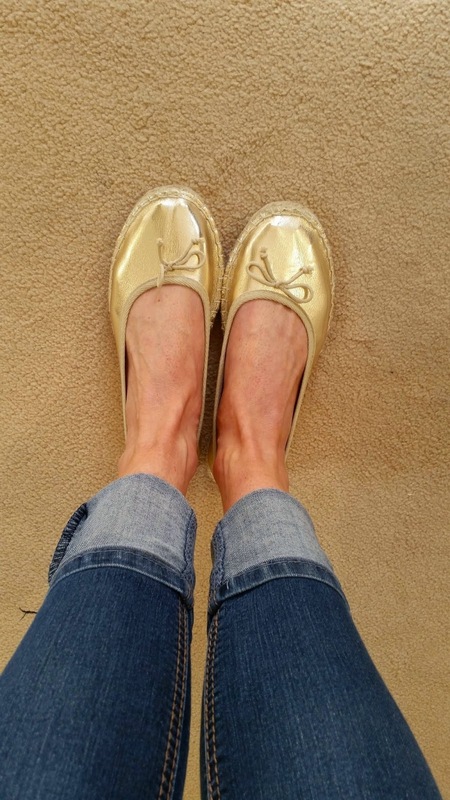 I love the espadrilles, and Sue's choice, of course! Such a shame they didn't fit well. At least you had a 50% success rate!